The magnetic compass that birds use for orientation is affected by polarized light. This previously unknown phenomenon was discovered by researchers at Lund University in Sweden. 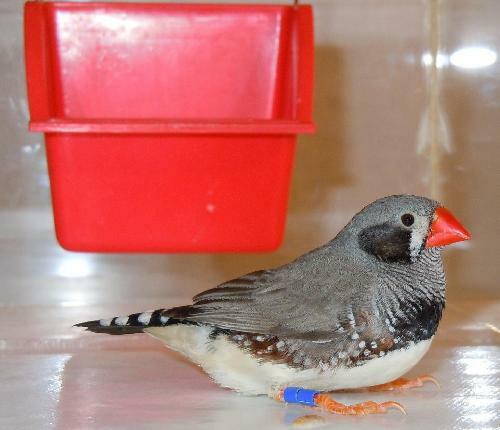 The discovery that the magnetic compass is affected by the polarization direction of light was made when trained zebra finches were trying to find food inside a maze. The birds were only able to use their magnetic compass when the direction of the polarized light was parallel to the magnetic field, not when perpendicular to the magnetic field. "We were expecting an effect, but not one so major that it would lead to complete disorientation when the direction of the polarization of light was perpendicular to the direction of the magnetic field," says Rachel Muheim, who was in charge of the study. It is still unclear how the different directions of polarized light in relation to the Earth's magnetic field affect birds in the wild. The researchers have put forward a thesis that the birds use it to accentuate the magnetic field during sunrise and sunset - times of day when migratory birds are believed to determine their direction and calibrate their compasses before migrating. "In the middle of the day, when the polarized light is approximately perpendicular to the magnetic field, it can be an advantage that the magnetic field is less visible, so that it does not interfere at a time when visibility is important to locate food and to detect predators," says Rachel Muheim.